As a premier NY Mitsubishi Dealership, Healey Mitsubishi wants to give you the best prices combined with our unforgettable customer service. 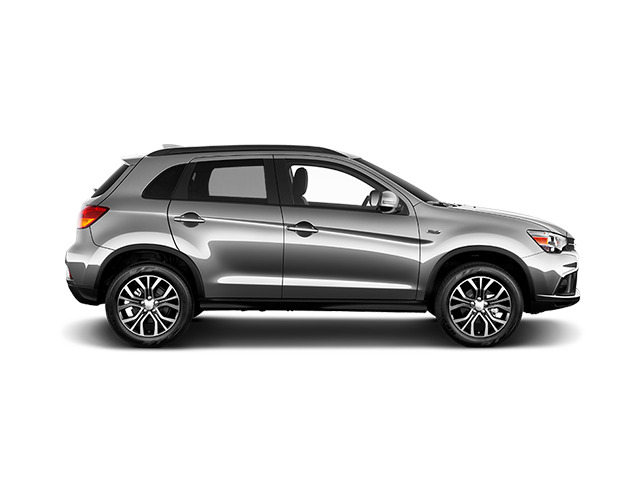 We are proud to offer the latest incentives from Mitsubishi on New Vehicle Specials, and Lease Renewal Offers. 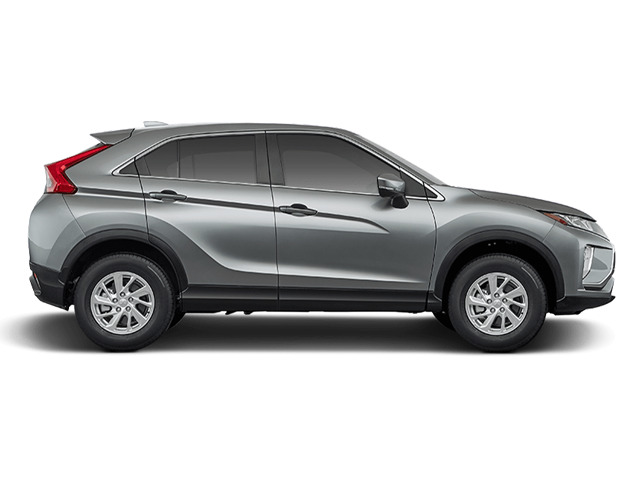 Browse our Mitsubishi Vehicle Specials below. Contact us for more details. Available only to qualified customers through . Lease starting at $307 for 36 months for a 2018 Mitsubishi Eclipse Cross LE S-AWC with an MSRP of $26,685. $3,901 due at signing includes $2,999 down, $0 security deposit, and $595 acquisition fee and first month's payment of $307, excludes retailer fees, additional options, taxes, title and registration fees. Total monthly payments equal $11,052. Total payments equal $14,646. Actual rates and payments of closed-end lease may vary. Not everyone will qualify. You must take new retail delivery from dealer stock by 1/2/2099. Lessee responsible for insurance, maintenance, excess wear and excess mileage over 30,000 miles at $0.25 /mile. All amounts shown are estimates, retailer sets actual amounts. Residency restrictions apply. Lessee has option to purchase vehicle at lease end at price negotiated with retailer and approved lender at signing. Termination fee may apply. Contact dealer for availability and for complete details. Available only to qualified customers through . Lease starting at $352 for 36 months for a 2018 Mitsubishi Outlander SEL 2.4 S-AWC with an MSRP of $30,035. $3,946 due at signing includes $2,999 down, $0 security deposit, and $595 acquisition fee and first month's payment of $352, excludes retailer fees, additional options, taxes, title and registration fees. Total monthly payments equal $12,672. Total payments equal $16,266. Actual rates and payments of closed-end lease may vary. Not everyone will qualify. You must take new retail delivery from dealer stock by 1/2/2099. Lessee responsible for insurance, maintenance, excess wear and excess mileage over 30,000 miles at $0.25 /mile. All amounts shown are estimates, retailer sets actual amounts. Residency restrictions apply. Lessee has option to purchase vehicle at lease end at price negotiated with retailer and approved lender at signing. Termination fee may apply. Contact dealer for availability and for complete details. Available only to qualified customers through . Lease starting at $353 for 36 months for a 2018 Mitsubishi Outlander SE 2.4 S-AWC with an MSRP of $28,795. $3,947 due at signing includes $2,999 down, $0 security deposit, and $595 acquisition fee and first month's payment of $353, excludes retailer fees, additional options, taxes, title and registration fees. Total monthly payments equal $12,708. Total payments equal $16,302. Actual rates and payments of closed-end lease may vary. Not everyone will qualify. You must take new retail delivery from dealer stock by 1/2/2099. Lessee responsible for insurance, maintenance, excess wear and excess mileage over 30,000 miles at $0.25 /mile. All amounts shown are estimates, retailer sets actual amounts. Residency restrictions apply. Lessee has option to purchase vehicle at lease end at price negotiated with retailer and approved lender at signing. Termination fee may apply. Contact dealer for availability and for complete details. Available only to qualified customers through . 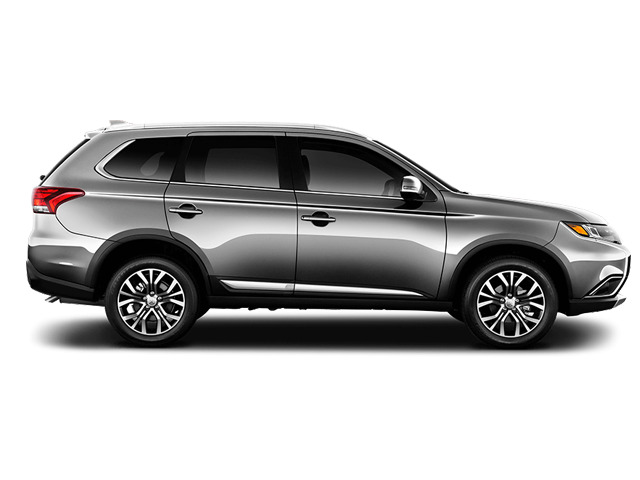 Lease starting at $362 for 36 months for a 2018 Mitsubishi Outlander LE AWC with an MSRP of $30,190. $3,956 due at signing includes $2,999 down, $0 security deposit, and $595 acquisition fee and first month's payment of $362, excludes retailer fees, additional options, taxes, title and registration fees. Total monthly payments equal $13,032. Total payments equal $16,626. Actual rates and payments of closed-end lease may vary. Not everyone will qualify. You must take new retail delivery from dealer stock by 1/2/2099. Lessee responsible for insurance, maintenance, excess wear and excess mileage over 30,000 miles at $0.18 /mile. All amounts shown are estimates, retailer sets actual amounts. Residency restrictions apply. Lessee has option to purchase vehicle at lease end at price negotiated with retailer and approved lender at signing. Termination fee may apply. Contact dealer for availability and for complete details. Available only to qualified customers through . Lease starting at $380 for 36 months for a 2018 Mitsubishi Outlander Sport SE 2.4 AWC with an MSRP of $26,365. $4,174 due at signing includes $2,999 down, $200 security deposit, and $595 acquisition fee and first month's payment of $380, excludes retailer fees, additional options, taxes, title and registration fees. Total monthly payments equal $13,680. Total payments equal $17,474. Actual rates and payments of closed-end lease may vary. Not everyone will qualify. You must take new retail delivery from dealer stock by 1/2/2099. Lessee responsible for insurance, maintenance, excess wear and excess mileage over 30,000 miles at $0.18 /mile. All amounts shown are estimates, retailer sets actual amounts. Residency restrictions apply. Lessee has option to purchase vehicle at lease end at price negotiated with retailer and approved lender at signing. Termination fee may apply. Contact dealer for availability and for complete details. Available only to qualified customers through . 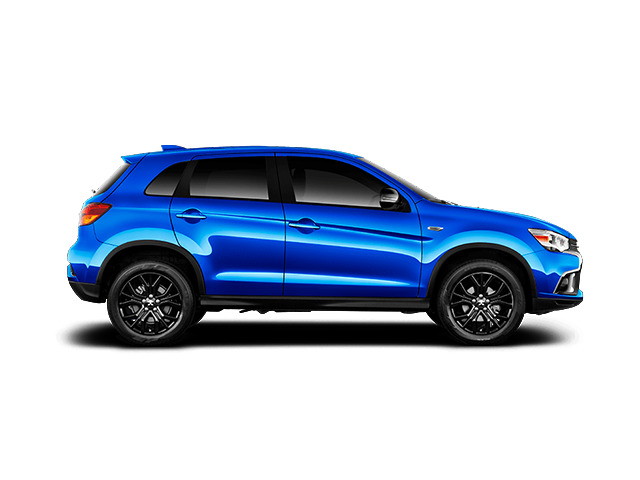 Lease starting at $390 for 36 months for a 2018 Mitsubishi Outlander Sport LE 2.0 AWC with an MSRP of $26,170. $4,184 due at signing includes $2,999 down, $200 security deposit, and $595 acquisition fee and first month's payment of $390, excludes retailer fees, additional options, taxes, title and registration fees. Total monthly payments equal $14,040. Total payments equal $17,834. Actual rates and payments of closed-end lease may vary. Not everyone will qualify. You must take new retail delivery from dealer stock by 1/2/2099. Lessee responsible for insurance, maintenance, excess wear and excess mileage over 30,000 miles at $0.25 /mile. All amounts shown are estimates, retailer sets actual amounts. Residency restrictions apply. Lessee has option to purchase vehicle at lease end at price negotiated with retailer and approved lender at signing. Termination fee may apply. Contact dealer for availability and for complete details. Available only to qualified customers through . Lease starting at $430 for 36 months for a 2018 Mitsubishi Outlander Sport SEL 2.4 AWC with an MSRP of $28,020. $4,224 due at signing includes $2,999 down, $200 security deposit, and $595 acquisition fee and first month's payment of $430, excludes retailer fees, additional options, taxes, title and registration fees. Total monthly payments equal $15,480. Total payments equal $19,274. Actual rates and payments of closed-end lease may vary. Not everyone will qualify. You must take new retail delivery from dealer stock by 1/2/2099. Lessee responsible for insurance, maintenance, excess wear and excess mileage over 30,000 miles at $0.18 /mile. All amounts shown are estimates, retailer sets actual amounts. Residency restrictions apply. Lessee has option to purchase vehicle at lease end at price negotiated with retailer and approved lender at signing. Termination fee may apply. Contact dealer for availability and for complete details. Available only to qualified customers through . Lease starting at $233 for 24 months for a 2019 Mitsubishi Eclipse Cross ES FWD with an MSRP of $25,070. $3,827 due at signing includes $2,999 down, $0 security deposit, and $595 acquisition fee and first month's payment of $233, excludes retailer fees, additional options, taxes, title and registration fees. Total monthly payments equal $5,592. Total payments equal $9,186. Actual rates and payments of closed-end lease may vary. Not everyone will qualify. You must take new retail delivery from dealer stock by 1/2/2099. Lessee responsible for insurance, maintenance, excess wear and excess mileage over 20,000 miles at $0.25 /mile. All amounts shown are estimates, retailer sets actual amounts. Residency restrictions apply. Lessee has option to purchase vehicle at lease end at price negotiated with retailer and approved lender at signing. Termination fee may apply. Contact dealer for availability and for complete details. Available only to qualified customers through . Lease starting at $240 for 36 months for a 2019 Mitsubishi Eclipse Cross ES S-AWC with an MSRP of $25,325. $3,834 due at signing includes $2,999 down, $0 security deposit, and $595 acquisition fee and first month's payment of $240, excludes retailer fees, additional options, taxes, title and registration fees. Total monthly payments equal $8,640. Total payments equal $12,234. Actual rates and payments of closed-end lease may vary. Not everyone will qualify. You must take new retail delivery from dealer stock by 1/2/2099. Lessee responsible for insurance, maintenance, excess wear and excess mileage over 30,000 miles at $0.25 /mile. All amounts shown are estimates, retailer sets actual amounts. Residency restrictions apply. Lessee has option to purchase vehicle at lease end at price negotiated with retailer and approved lender at signing. Termination fee may apply. Contact dealer for availability and for complete details. Available only to qualified customers through . 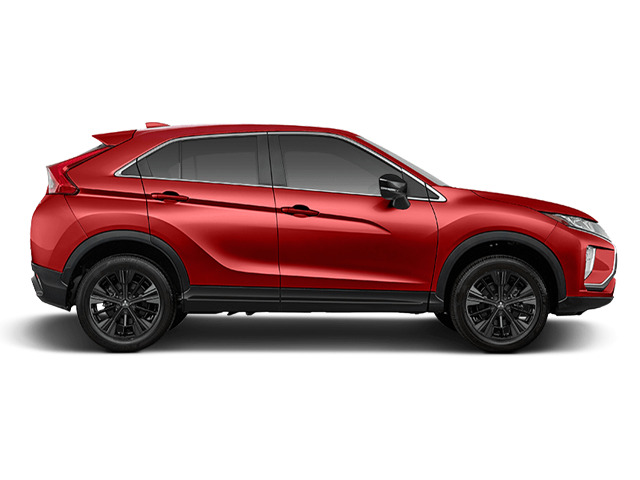 Lease starting at $262 for 36 months for a 2019 Mitsubishi Eclipse Cross LE S-AWC with an MSRP of $27,025. $3,856 due at signing includes $2,999 down, $0 security deposit, and $595 acquisition fee and first month's payment of $262, excludes retailer fees, additional options, taxes, title and registration fees. Total monthly payments equal $9,432. Total payments equal $13,026. Actual rates and payments of closed-end lease may vary. Not everyone will qualify. You must take new retail delivery from dealer stock by 1/2/2099. Lessee responsible for insurance, maintenance, excess wear and excess mileage over 30,000 miles at $0.25 /mile. All amounts shown are estimates, retailer sets actual amounts. Residency restrictions apply. Lessee has option to purchase vehicle at lease end at price negotiated with retailer and approved lender at signing. Termination fee may apply. Contact dealer for availability and for complete details. Available only to qualified customers through . 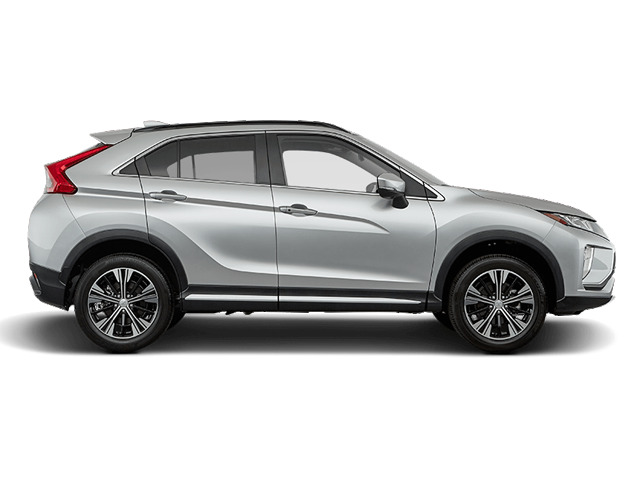 Lease starting at $282 for 36 months for a 2019 Mitsubishi Eclipse Cross SE S-AWC with an MSRP of $28,430. $3,876 due at signing includes $2,999 down, $0 security deposit, and $595 acquisition fee and first month's payment of $282, excludes retailer fees, additional options, taxes, title and registration fees. Total monthly payments equal $10,152. Total payments equal $13,746. Actual rates and payments of closed-end lease may vary. Not everyone will qualify. You must take new retail delivery from dealer stock by 1/2/2099. Lessee responsible for insurance, maintenance, excess wear and excess mileage over 30,000 miles at $0.25 /mile. All amounts shown are estimates, retailer sets actual amounts. Residency restrictions apply. Lessee has option to purchase vehicle at lease end at price negotiated with retailer and approved lender at signing. Termination fee may apply. Contact dealer for availability and for complete details. Available only to qualified customers through . 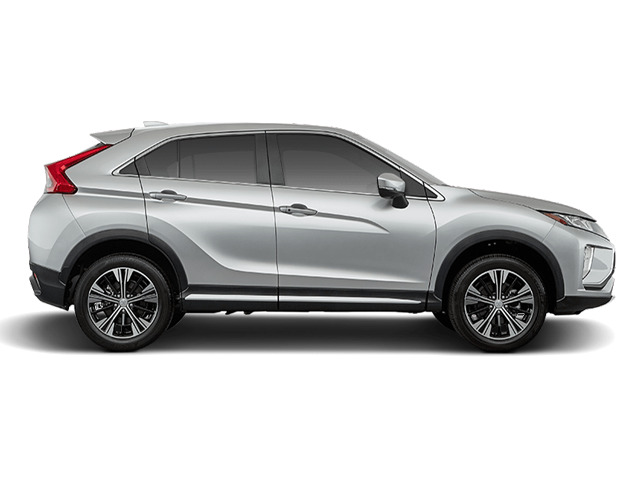 Lease starting at $304 for 36 months for a 2019 Mitsubishi Eclipse Cross SEL S-AWC with an MSRP of $30,025. $3,898 due at signing includes $2,999 down, $0 security deposit, and $595 acquisition fee and first month's payment of $304, excludes retailer fees, additional options, taxes, title and registration fees. Total monthly payments equal $10,944. Total payments equal $14,538. Actual rates and payments of closed-end lease may vary. Not everyone will qualify. You must take new retail delivery from dealer stock by 1/2/2099. Lessee responsible for insurance, maintenance, excess wear and excess mileage over 30,000 miles at $0.25 /mile. All amounts shown are estimates, retailer sets actual amounts. Residency restrictions apply. Lessee has option to purchase vehicle at lease end at price negotiated with retailer and approved lender at signing. Termination fee may apply. Contact dealer for availability and for complete details. Available only to qualified customers through . 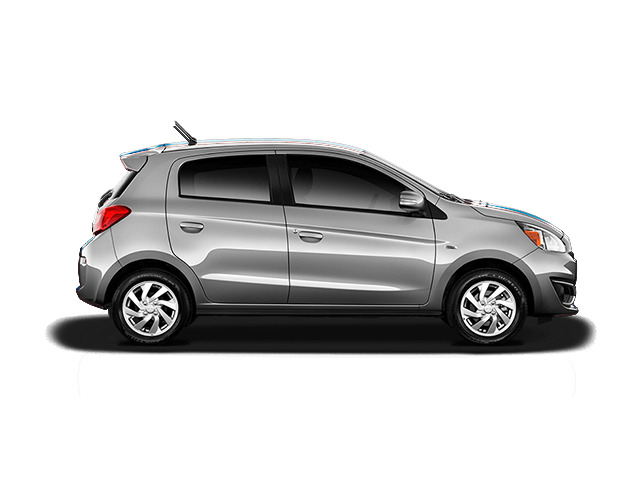 Lease starting at $133 for 36 months for a 2019 Mitsubishi Mirage SE with an MSRP of $17,525. $3,727 due at signing includes $2,999 down, $0 security deposit, and $595 acquisition fee and first month's payment of $133, excludes retailer fees, additional options, taxes, title and registration fees. Total monthly payments equal $4,788. Total payments equal $8,382. Actual rates and payments of closed-end lease may vary. Not everyone will qualify. You must take new retail delivery from dealer stock by 1/2/2099. Lessee responsible for insurance, maintenance, excess wear and excess mileage over 30,000 miles at $0.25 /mile. All amounts shown are estimates, retailer sets actual amounts. Residency restrictions apply. Lessee has option to purchase vehicle at lease end at price negotiated with retailer and approved lender at signing. Termination fee may apply. Contact dealer for availability and for complete details. Available only to qualified customers through . 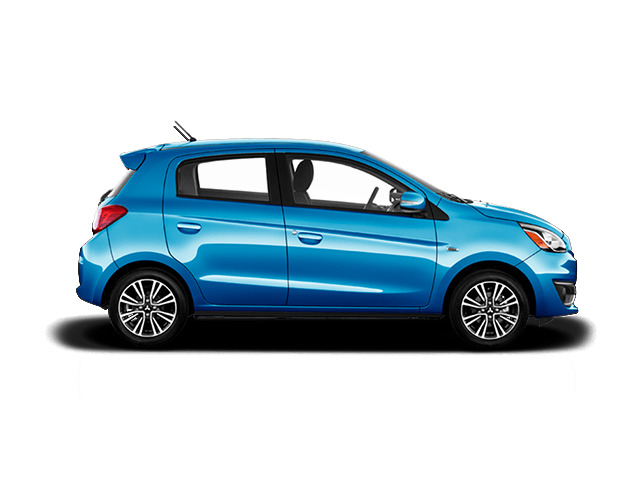 Lease starting at $143 for 36 months for a 2019 Mitsubishi Mirage GT with an MSRP of $18,305. $3,737 due at signing includes $2,999 down, $0 security deposit, and $595 acquisition fee and first month's payment of $143, excludes retailer fees, additional options, taxes, title and registration fees. Total monthly payments equal $5,148. Total payments equal $8,742. Actual rates and payments of closed-end lease may vary. Not everyone will qualify. You must take new retail delivery from dealer stock by 1/2/2099. Lessee responsible for insurance, maintenance, excess wear and excess mileage over 30,000 miles at $0.25 /mile. All amounts shown are estimates, retailer sets actual amounts. Residency restrictions apply. Lessee has option to purchase vehicle at lease end at price negotiated with retailer and approved lender at signing. Termination fee may apply. Contact dealer for availability and for complete details. Available only to qualified customers through . 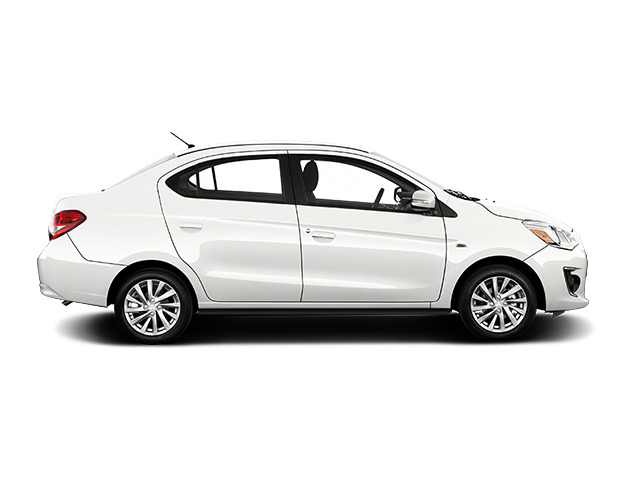 Lease starting at $142 for 36 months for a 2019 Mitsubishi Mirage G4 SE with an MSRP of $19,060. $3,736 due at signing includes $2,999 down, $0 security deposit, and $595 acquisition fee and first month's payment of $142, excludes retailer fees, additional options, taxes, title and registration fees. Total monthly payments equal $5,112. Total payments equal $8,706. Actual rates and payments of closed-end lease may vary. Not everyone will qualify. You must take new retail delivery from dealer stock by 1/2/2099. Lessee responsible for insurance, maintenance, excess wear and excess mileage over 30,000 miles at $0.25 /mile. All amounts shown are estimates, retailer sets actual amounts. Residency restrictions apply. Lessee has option to purchase vehicle at lease end at price negotiated with retailer and approved lender at signing. Termination fee may apply. Contact dealer for availability and for complete details. Available only to qualified customers through . 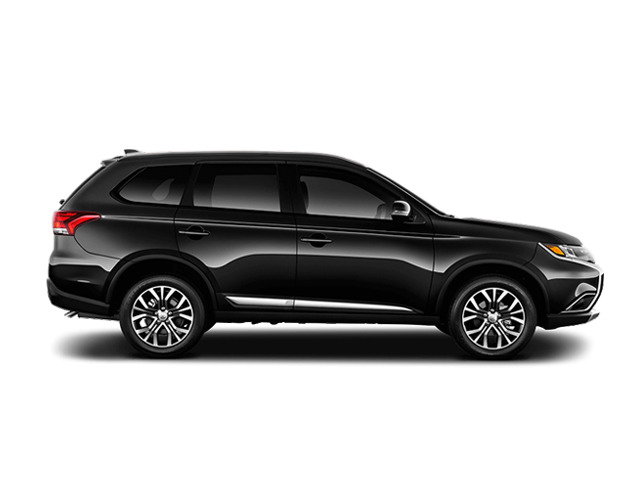 Lease starting at $269 for 36 months for a 2019 Mitsubishi Outlander SE 2.4 with an MSRP of $26,910. $3,863 due at signing includes $2,999 down, $0 security deposit, and $595 acquisition fee and first month's payment of $269, excludes retailer fees, additional options, taxes, title and registration fees. Total monthly payments equal $9,684. Total payments equal $13,278. Actual rates and payments of closed-end lease may vary. Not everyone will qualify. You must take new retail delivery from dealer stock by 1/2/2099. Lessee responsible for insurance, maintenance, excess wear and excess mileage over 30,000 miles at $0.25 /mile. All amounts shown are estimates, retailer sets actual amounts. Residency restrictions apply. Lessee has option to purchase vehicle at lease end at price negotiated with retailer and approved lender at signing. Termination fee may apply. Contact dealer for availability and for complete details. Available only to qualified customers through . 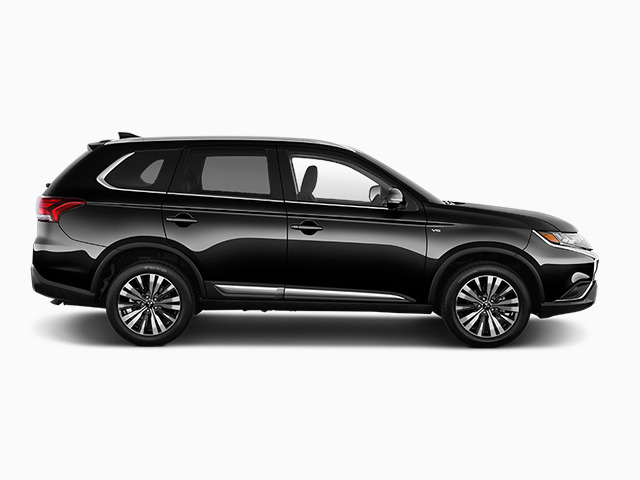 Lease starting at $276 for 36 months for a 2019 Mitsubishi Outlander ES 2.4 S-AWC with an MSRP of $27,410. $3,870 due at signing includes $2,999 down, $0 security deposit, and $595 acquisition fee and first month's payment of $276, excludes retailer fees, additional options, taxes, title and registration fees. Total monthly payments equal $9,936. Total payments equal $13,530. Actual rates and payments of closed-end lease may vary. Not everyone will qualify. You must take new retail delivery from dealer stock by 1/2/2099. Lessee responsible for insurance, maintenance, excess wear and excess mileage over 30,000 miles at $0.25 /mile. All amounts shown are estimates, retailer sets actual amounts. Residency restrictions apply. Lessee has option to purchase vehicle at lease end at price negotiated with retailer and approved lender at signing. Termination fee may apply. Contact dealer for availability and for complete details. Available only to qualified customers through . 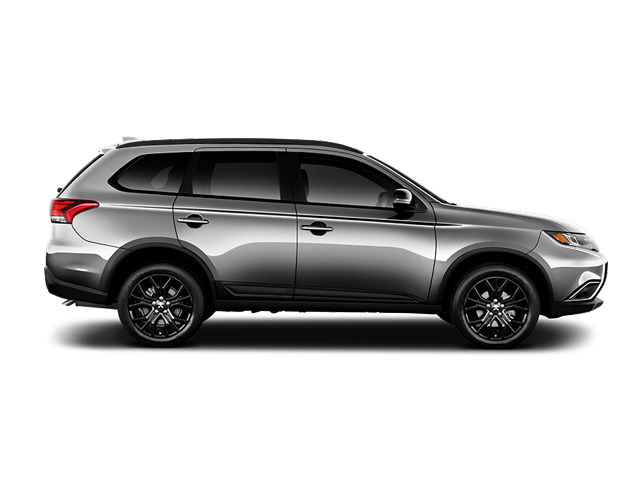 Lease starting at $292 for 36 months for a 2019 Mitsubishi Outlander SE 2.4 S-AWC with an MSRP of $29,215. $3,886 due at signing includes $2,999 down, $0 security deposit, and $595 acquisition fee and first month's payment of $292, excludes retailer fees, additional options, taxes, title and registration fees. Total monthly payments equal $10,512. Total payments equal $14,106. Actual rates and payments of closed-end lease may vary. Not everyone will qualify. You must take new retail delivery from dealer stock by 1/2/2099. Lessee responsible for insurance, maintenance, excess wear and excess mileage over 30,000 miles at $0.25 /mile. All amounts shown are estimates, retailer sets actual amounts. Residency restrictions apply. Lessee has option to purchase vehicle at lease end at price negotiated with retailer and approved lender at signing. Termination fee may apply. Contact dealer for availability and for complete details. Available only to qualified customers through . 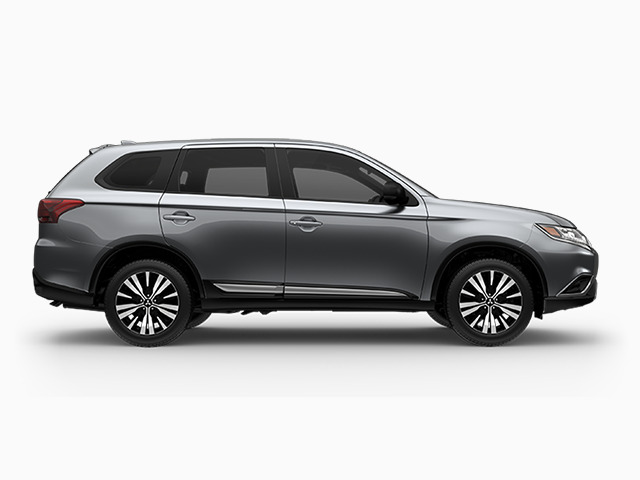 Lease starting at $317 for 36 months for a 2019 Mitsubishi Outlander SEL 2.4 S-AWC with an MSRP of $31,045. $3,911 due at signing includes $2,999 down, $0 security deposit, and $595 acquisition fee and first month's payment of $317, excludes retailer fees, additional options, taxes, title and registration fees. Total monthly payments equal $11,412. Total payments equal $15,006. Actual rates and payments of closed-end lease may vary. Not everyone will qualify. You must take new retail delivery from dealer stock by 1/2/2099. Lessee responsible for insurance, maintenance, excess wear and excess mileage over 30,000 miles at $0.25 /mile. All amounts shown are estimates, retailer sets actual amounts. Residency restrictions apply. Lessee has option to purchase vehicle at lease end at price negotiated with retailer and approved lender at signing. Termination fee may apply. Contact dealer for availability and for complete details. Available only to qualified customers through . 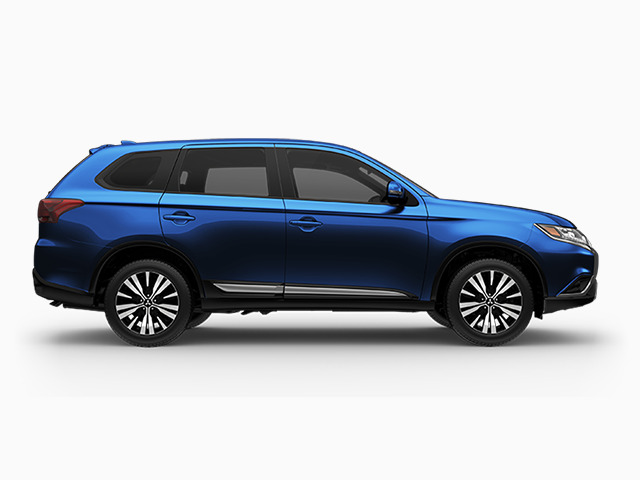 Lease starting at $325 for 60 months for a 2019 Mitsubishi Outlander GT 3.0 S-AWC with an MSRP of $35,390. $3,919 due at signing includes $2,999 down, $0 security deposit, and $595 acquisition fee and first month's payment of $325, excludes retailer fees, additional options, taxes, title and registration fees. Total monthly payments equal $19,500. Total payments equal $23,094. Actual rates and payments of closed-end lease may vary. Not everyone will qualify. You must take new retail delivery from dealer stock by 1/2/2099. Lessee responsible for insurance, maintenance, excess wear and excess mileage over 50,000 miles at $0.25 /mile. All amounts shown are estimates, retailer sets actual amounts. Residency restrictions apply. Lessee has option to purchase vehicle at lease end at price negotiated with retailer and approved lender at signing. Termination fee may apply. Contact dealer for availability and for complete details. Available only to qualified customers through . 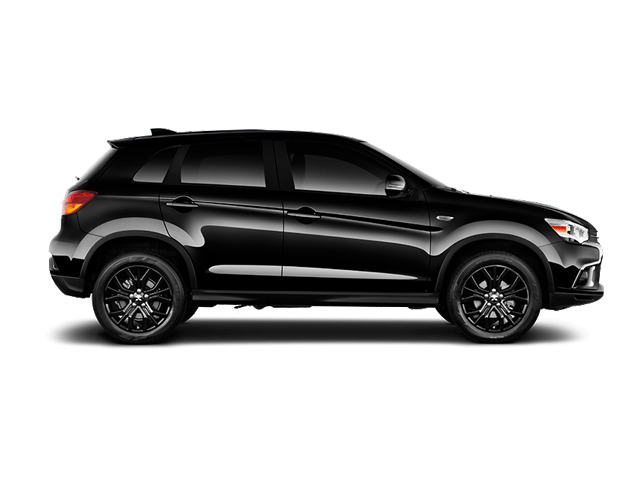 Lease starting at $165 for 24 months for a 2019 Mitsubishi Outlander Sport 2.0 ES CVT with an MSRP of $23,325. $3,759 due at signing includes $2,999 down, $0 security deposit, and $595 acquisition fee and first month's payment of $165, excludes retailer fees, additional options, taxes, title and registration fees. Total monthly payments equal $3,960. Total payments equal $7,554. Actual rates and payments of closed-end lease may vary. Not everyone will qualify. You must take new retail delivery from dealer stock by 1/2/2099. Lessee responsible for insurance, maintenance, excess wear and excess mileage over 20,000 miles at $0.25 /mile. All amounts shown are estimates, retailer sets actual amounts. Residency restrictions apply. Lessee has option to purchase vehicle at lease end at price negotiated with retailer and approved lender at signing. Termination fee may apply. Contact dealer for availability and for complete details. Available only to qualified customers through . 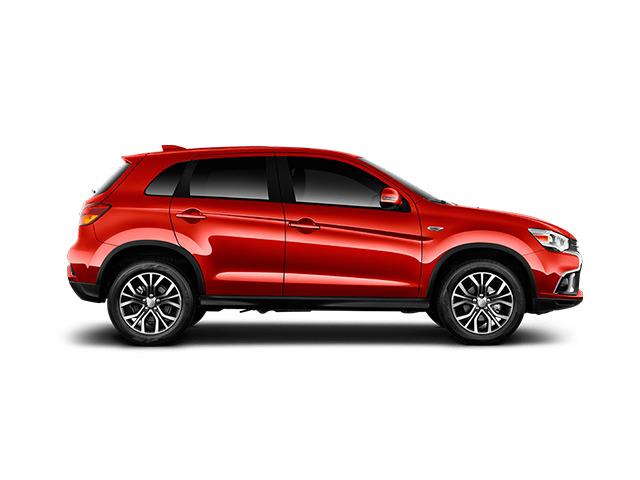 Lease starting at $199 for 36 months for a 2019 Mitsubishi Outlander Sport 2.0 ES AWC with an MSRP of $24,975. $3,793 due at signing includes $2,999 down, $0 security deposit, and $595 acquisition fee and first month's payment of $199, excludes retailer fees, additional options, taxes, title and registration fees. Total monthly payments equal $7,164. Total payments equal $10,758. Actual rates and payments of closed-end lease may vary. Not everyone will qualify. You must take new retail delivery from dealer stock by 1/2/2099. Lessee responsible for insurance, maintenance, excess wear and excess mileage over 30,000 miles at $0.25 /mile. All amounts shown are estimates, retailer sets actual amounts. Residency restrictions apply. Lessee has option to purchase vehicle at lease end at price negotiated with retailer and approved lender at signing. Termination fee may apply. Contact dealer for availability and for complete details. Available only to qualified customers through . 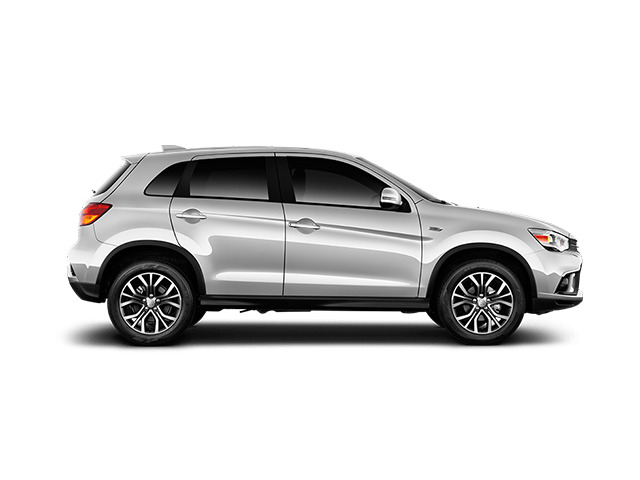 Lease starting at $201 for 36 months for a 2019 Mitsubishi Outlander Sport 2.0 SE with an MSRP of $25,065. $3,795 due at signing includes $2,999 down, $0 security deposit, and $595 acquisition fee and first month's payment of $201, excludes retailer fees, additional options, taxes, title and registration fees. Total monthly payments equal $7,236. Total payments equal $10,830. Actual rates and payments of closed-end lease may vary. Not everyone will qualify. You must take new retail delivery from dealer stock by 1/2/2099. Lessee responsible for insurance, maintenance, excess wear and excess mileage over 30,000 miles at $0.25 /mile. All amounts shown are estimates, retailer sets actual amounts. Residency restrictions apply. Lessee has option to purchase vehicle at lease end at price negotiated with retailer and approved lender at signing. Termination fee may apply. Contact dealer for availability and for complete details. Available only to qualified customers through . 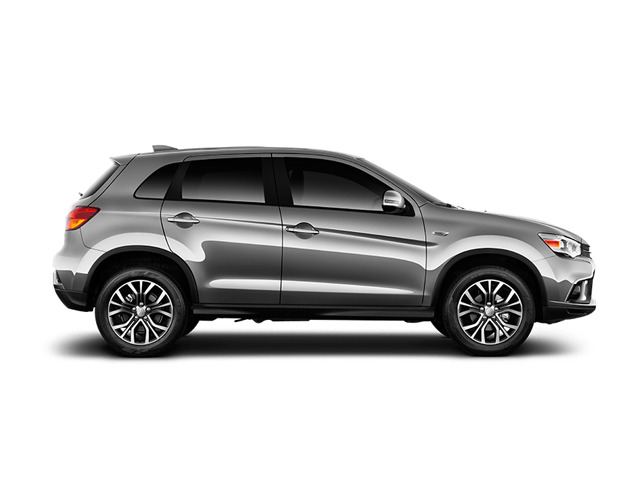 Lease starting at $212 for 36 months for a 2019 Mitsubishi Outlander Sport 2.0 LE AWC with an MSRP of $26,015. $3,806 due at signing includes $2,999 down, $0 security deposit, and $595 acquisition fee and first month's payment of $212, excludes retailer fees, additional options, taxes, title and registration fees. Total monthly payments equal $7,632. Total payments equal $11,226. Actual rates and payments of closed-end lease may vary. Not everyone will qualify. You must take new retail delivery from dealer stock by 1/2/2099. Lessee responsible for insurance, maintenance, excess wear and excess mileage over 30,000 miles at $0.25 /mile. All amounts shown are estimates, retailer sets actual amounts. Residency restrictions apply. Lessee has option to purchase vehicle at lease end at price negotiated with retailer and approved lender at signing. Termination fee may apply. Contact dealer for availability and for complete details. Available only to qualified customers through . Lease starting at $213 for 36 months for a 2019 Mitsubishi Outlander Sport 2.4 GT with an MSRP of $26,565. $3,807 due at signing includes $2,999 down, $0 security deposit, and $595 acquisition fee and first month's payment of $213, excludes retailer fees, additional options, taxes, title and registration fees. Total monthly payments equal $7,668. Total payments equal $11,262. Actual rates and payments of closed-end lease may vary. Not everyone will qualify. You must take new retail delivery from dealer stock by 1/2/2099. Lessee responsible for insurance, maintenance, excess wear and excess mileage over 30,000 miles at $0.25 /mile. All amounts shown are estimates, retailer sets actual amounts. Residency restrictions apply. Lessee has option to purchase vehicle at lease end at price negotiated with retailer and approved lender at signing. Termination fee may apply. Contact dealer for availability and for complete details. Available only to qualified customers through . Lease starting at $216 for 36 months for a 2019 Mitsubishi Outlander Sport 2.0 SE AWC with an MSRP of $26,365. $3,810 due at signing includes $2,999 down, $0 security deposit, and $595 acquisition fee and first month's payment of $216, excludes retailer fees, additional options, taxes, title and registration fees. Total monthly payments equal $7,776. Total payments equal $11,370. Actual rates and payments of closed-end lease may vary. Not everyone will qualify. You must take new retail delivery from dealer stock by 1/2/2099. Lessee responsible for insurance, maintenance, excess wear and excess mileage over 30,000 miles at $0.25 /mile. All amounts shown are estimates, retailer sets actual amounts. Residency restrictions apply. Lessee has option to purchase vehicle at lease end at price negotiated with retailer and approved lender at signing. Termination fee may apply. Contact dealer for availability and for complete details.